Duck season won’t really start rocking until late December or January, but hunters get four days in November (23, 24, 25 and 30) to hunt. After what was, at best, a decent teal season in the latter part of September, Mississippi duck hunters are hungry for more. No, make that starving. 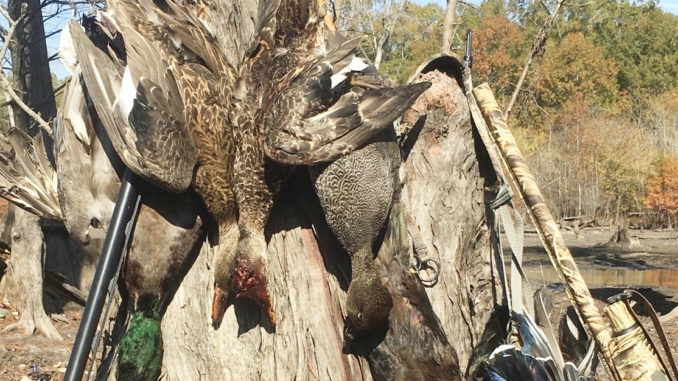 “My family loves to eat wild duck more than any other game — or steak, for that matter — and we did not have a very good shoot at blue wings (teal) in September,” said Howard Travis of Olive Branch. “Our honey holes in the Delta were dry, so we were left with what we could find at the reservoirs, and that was pretty danged meager. Not so much meals as appetizers, eh? The three-part season opens Thanksgiving weekend, Nov. 23-25, reopens Nov. 30-Dec. 2, and then opens on Dec. 5 and continues through its conclusion on Jan. 27. Keeping the family fed on ducks could be a challenge this year. “Yeah, I wasn’t too pleased when I saw the duck-survey numbers from the federal guys last month,” Travis said. 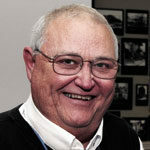 “We had a pretty good season last year, thanks to those early cold fronts that pushed ducks in early. 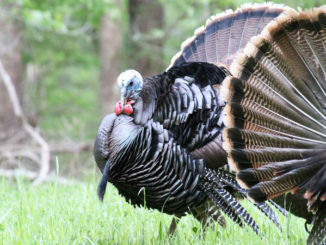 A lot of people had great hunts early, only to see it slow down in the middle of the season. We had ideal habitat on our lease, so they stayed. Then, they really poured in again about the second weekend in January and it was really good; I mean really, really good. We had limit hunts every day we hunted, and we hunted a lot. It was so good that we all three took a week of vacation, earlier than I generally would, to stay on them. Nov. 23 through Nov. 25. Nov. 30 through Dec. 2. Dec. 5 through Jan. 27. Daily ducks: Six ducks per hunter to include no more than four mallards (no more than two of which may be females), three wood ducks, three scaup, two redheads, two canvasbacks, two black ducks, two pintails and one mottled duck. Daily mergansers: Five mergansers, only two of which may be hooded. Possession: The possession limit is three times the daily bag limit for ducks, mergansers, and coots.